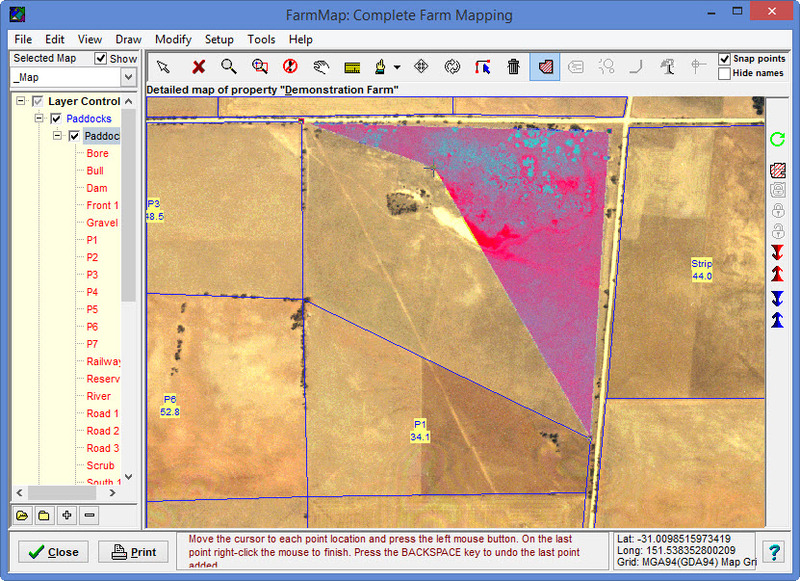 How do I sub-divide an existing paddock in FarmMap? 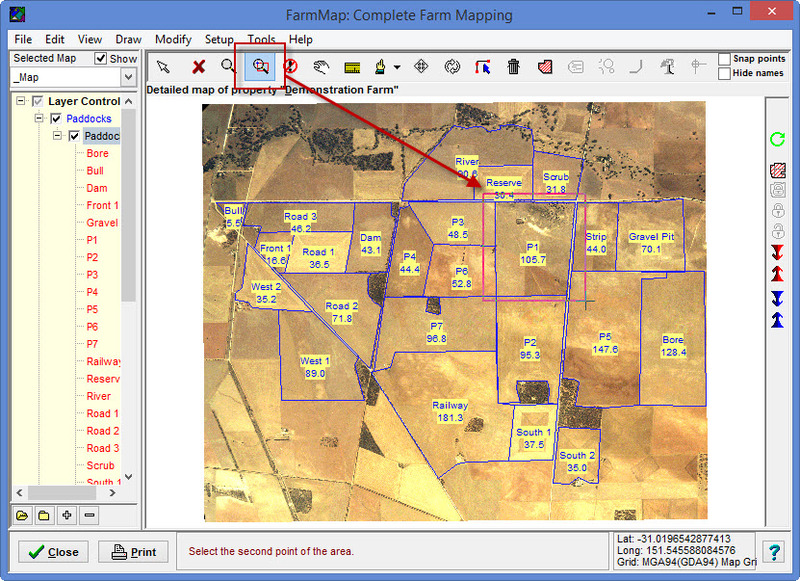 Below we have outlined instructions on how to change paddocks: by using the Paddocks layer or by using a GPS unit to plot the new corner points in the actual paddock and then importing the points into FarmMap to draw the paddocks. 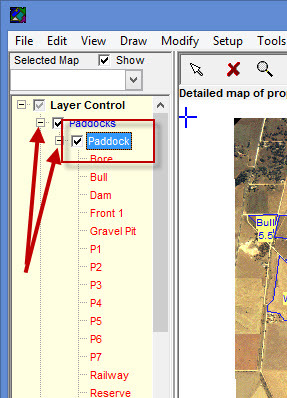 Click the plus sign (+) beside the blue layer type Paddocks then tick the box besides the layer Paddock and click on the layer name Paddock to make it the active layer. 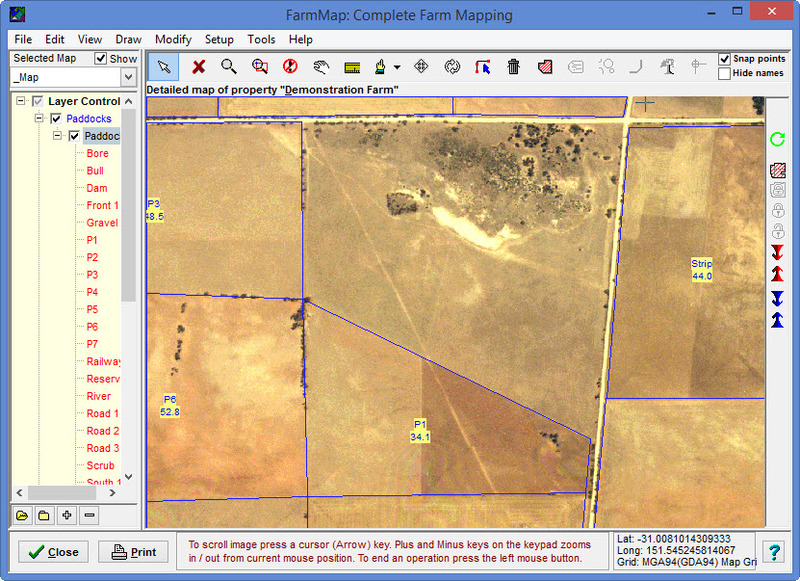 Zoom in on the paddock you would like to subdivide by clicking the Zoom Area tool. Select the paddock you want to sub-divide, clicking on the Select Object Tool button, the click in the paddock so it is highlighted. 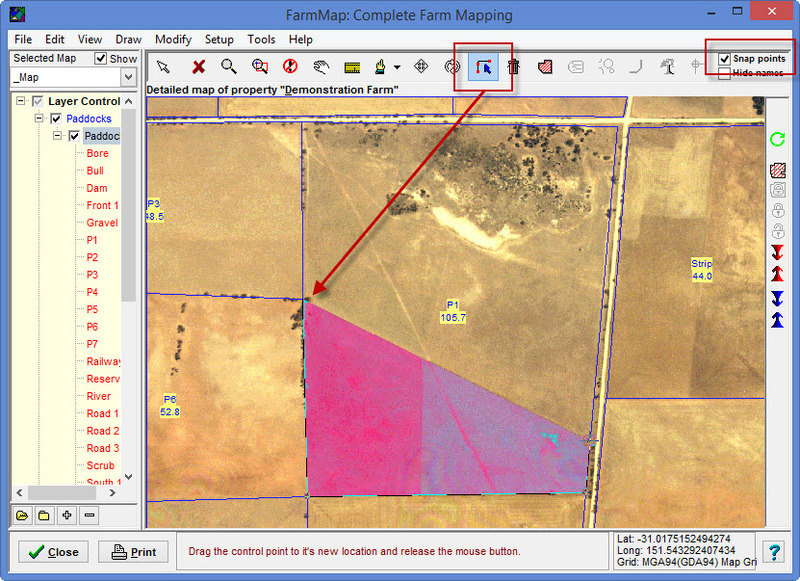 Resize the existing paddock by using the Add or Move a Point tool. Left click on a corner and drag to the new position and repeat for all corners that need to be moved. Hint: Tick the snap points box (top right corner of the screen) to jump to existing points on corners. By hovering your mouse near an existing corner, the paddock tool will magnetise to the point and make it easier to keep fences aligned. After the last corner has been moved, right click to place the final corner and complete the new size for the paddock. 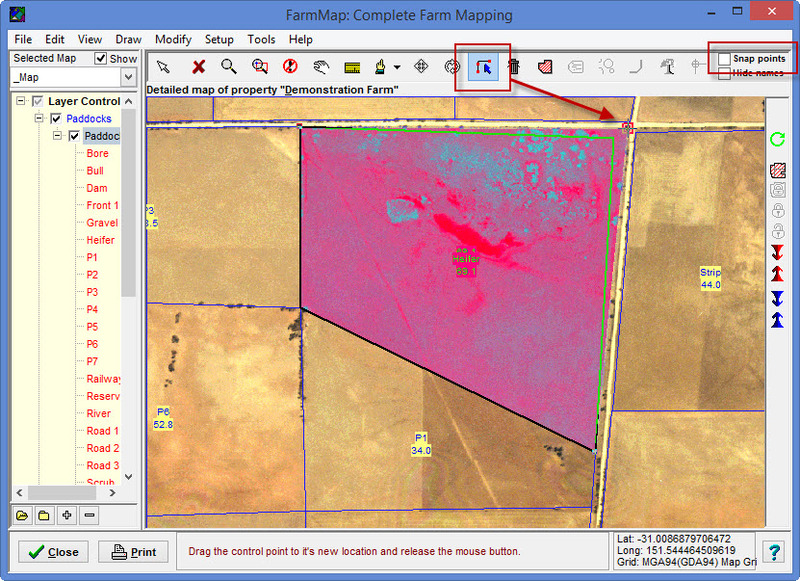 Select the Add Paddock Tool. Keep the Snap points box ticked. Draw the new paddock in by left clicking on all corners of the new paddock. Right click on the last corner to complete the paddock. A dialogue window will open for a new paddock name to be entered. Enter the paddock name and click OK. 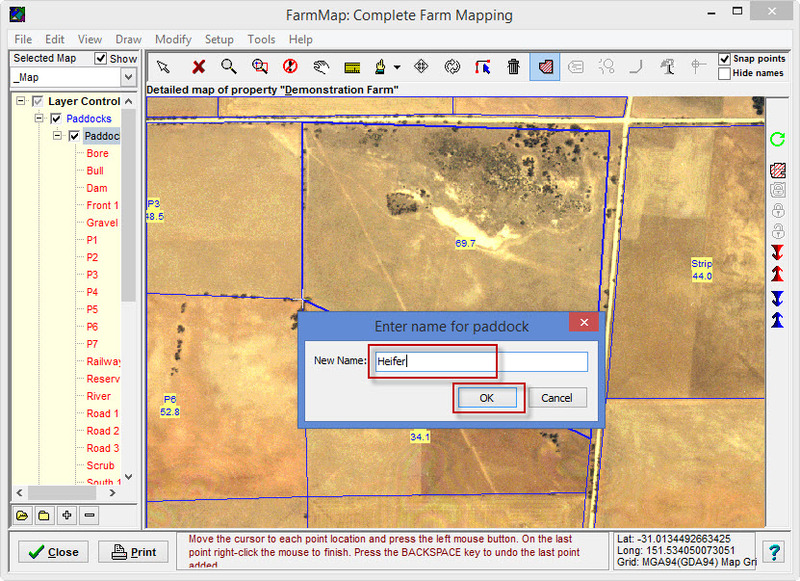 Your new paddock will appear with the name in the paddock list on the left hand menu. 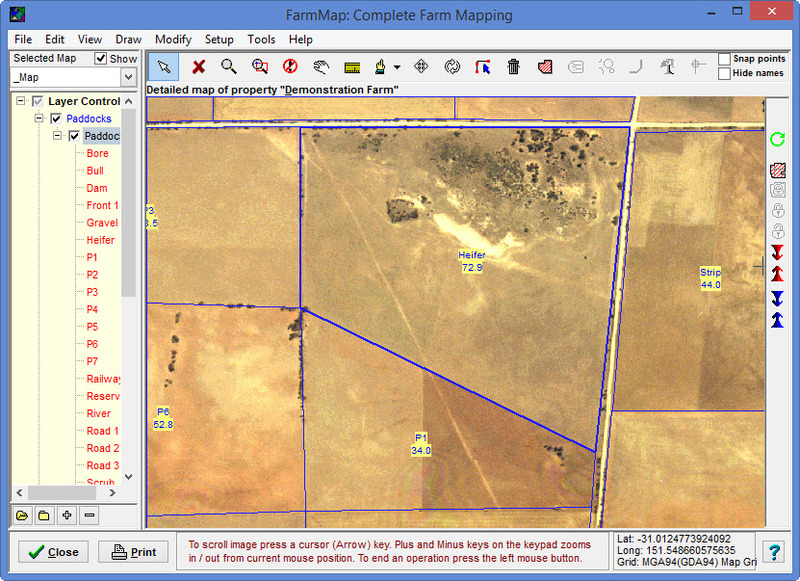 If you would like to change where any of the corners lie, clicking on the Select Object Tool button, the click in the paddock. 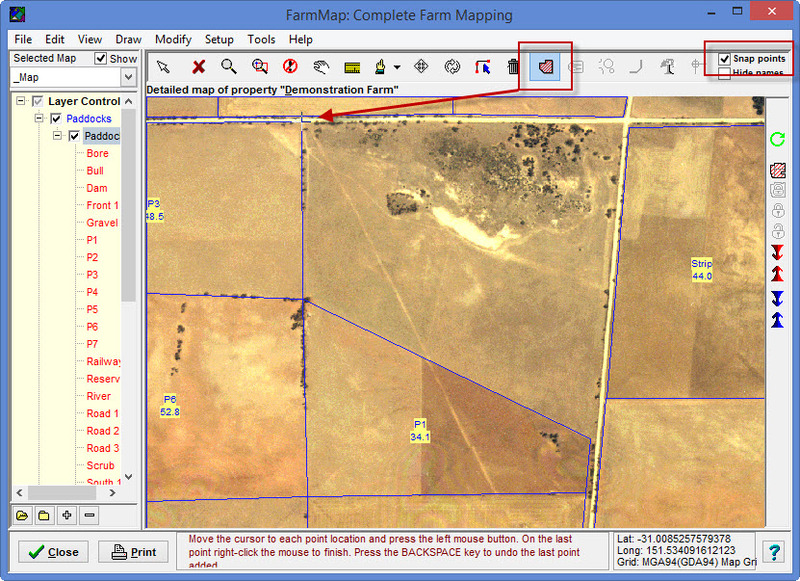 Resize the existing paddock by using the Add or Move a Point tool, then right click to finish. 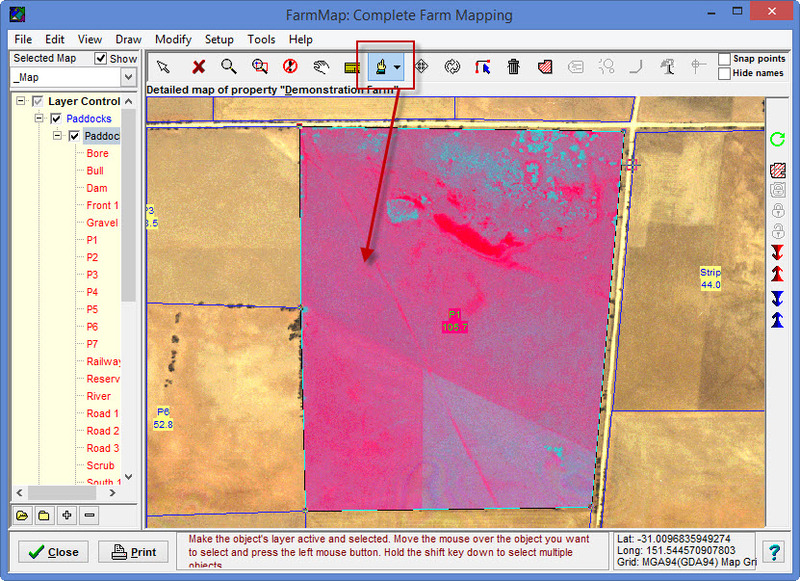 Hint: Untick the snap points box so the mouse doesn't jump to corners of other paddocks. Your paddock is now finished.